UPDATE: This event has been cancelled. Please see here for details. 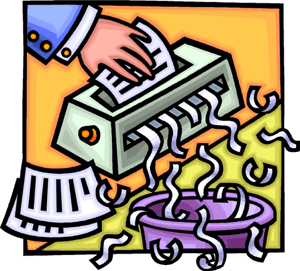 If you are shredding a lot of documents a day, a week or a month, you probably frustrations are going to be the following: 1) Your shredder keeps stopping. 2) It makes a lot of mess! 3) Why does your tie keep going in the shredder? Well, you are not the only one. That is why a lot of people are always on the look out for FREE shredder days.